Takachiho Beef (Japanese black Beef) is a Takachiho speciality. Takachiho beef awarded the Prime Minister's Prize with recognition of its quality at the 9th National Wagyu Beef Capability Association known as the "Wagyu Olympic " held in 2007. 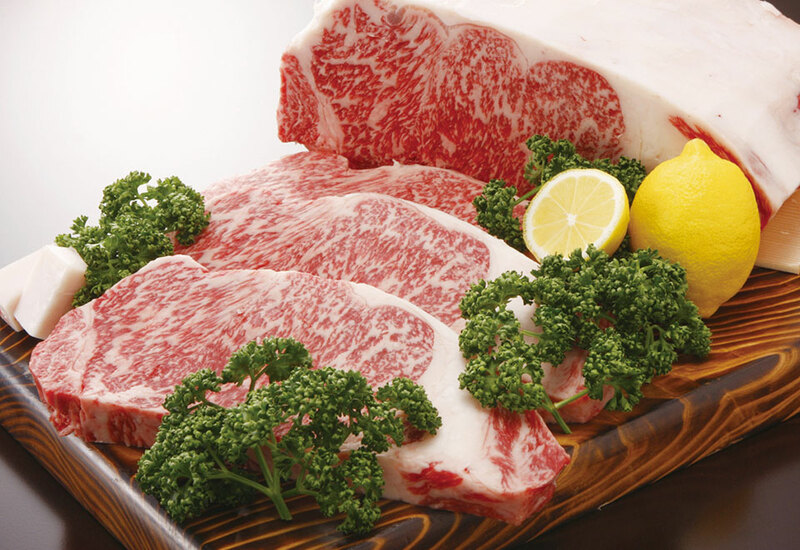 Takachiho Beef is particularly popular with marbled and tender. 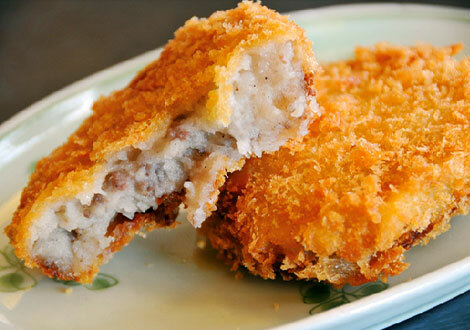 "Takachiho croquette" which used Takachiho beef is also popular. 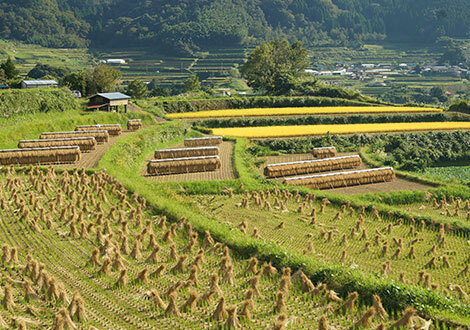 Due to the temperature difference, good rice grows in Takachiho's terraced fields. 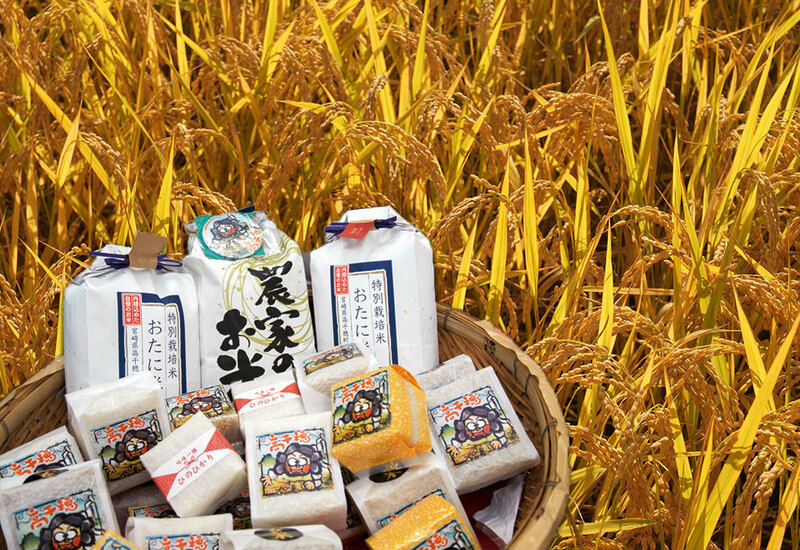 Takachiho Rice has a rich taste with drying by the sunlight. 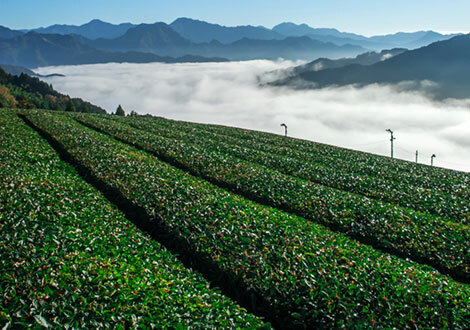 Kamairi-cha Green Tea is a special product in Takachiho and it is produced only around Nishiusuki-gun, Miyazaki prefecture. 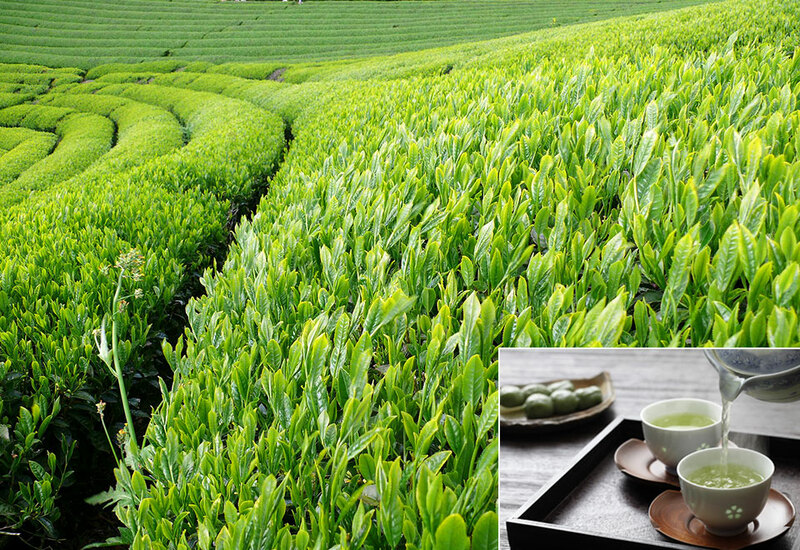 In the statistics, the production amount of Kamairi-cha Green tea is about 1% of all green tea in Japan. The color is clearer than other green tea, and slightly hot water is suitable. The Kamairi-cha Green tea has a rich flavor and the taste is refreshing. 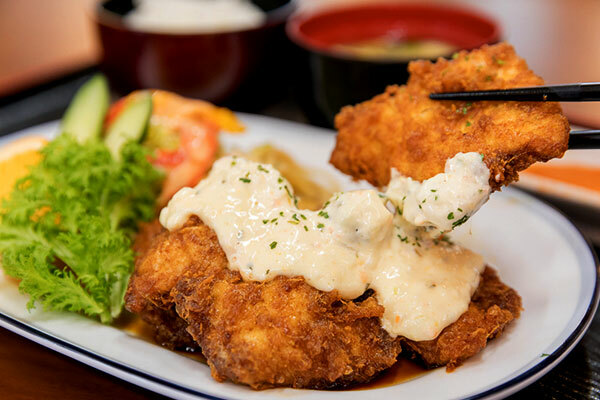 Chicken Namban is Deep fried chicken with marinated tartar sauce and the representative food of Miyazaki. Nagashi Somen is a popular food especially summer in Japan.Somen is a thin, white Japanese noodle made from wheat flour. Somen flows in a half-cut bamboo pipe, you catch somen and dip them in a Japanese soup. 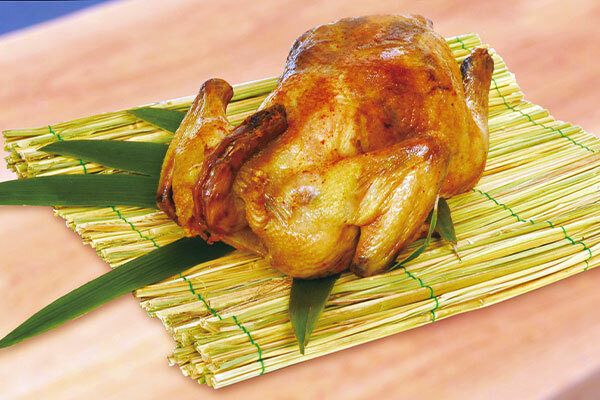 By Roasting chichen with cauldron , you can enjoy both the flavor of soft-baked surface and soft body. The Roasted chicken is a local cuisine you can enjoy the whole chicken. In Takachiho, banboo tubes are called "kappo". Originally, the bamboo tube was used widely for cooking tea, liquor, rice, etc. When you put Japanese liquor in "kappo" and boil it with fire, bamboo oil mixes with Japanese sake and has a unique flavor. 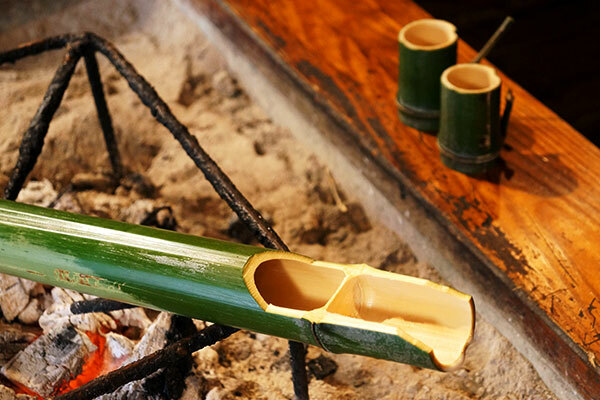 You can enjoy Takachiho's traditional custom by drinking with bamboo cups "kappo". 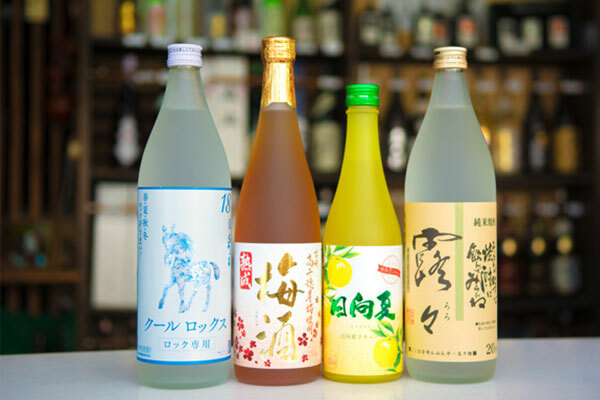 Shochu made with Miyazaki's agricultural products blessed with a mild climate and rich nature. There are various types of shochu ;such as wheat · soba · rice. You can enjoy shochu with hot water, water and ice. In Takachiho, we have a habit of eating Udon during celebrations and seasonal events. Especially it is served during Takachiho-no-Yokagura, and therefore it is called Kugura Udon. 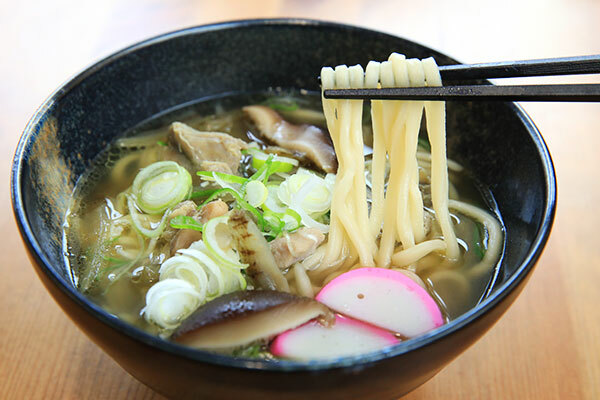 The charactrictic of Kagura Udon is a simple taste using chicken and burdock.